The Saxony ducks play a significant role in creating this "integrated farmstead". 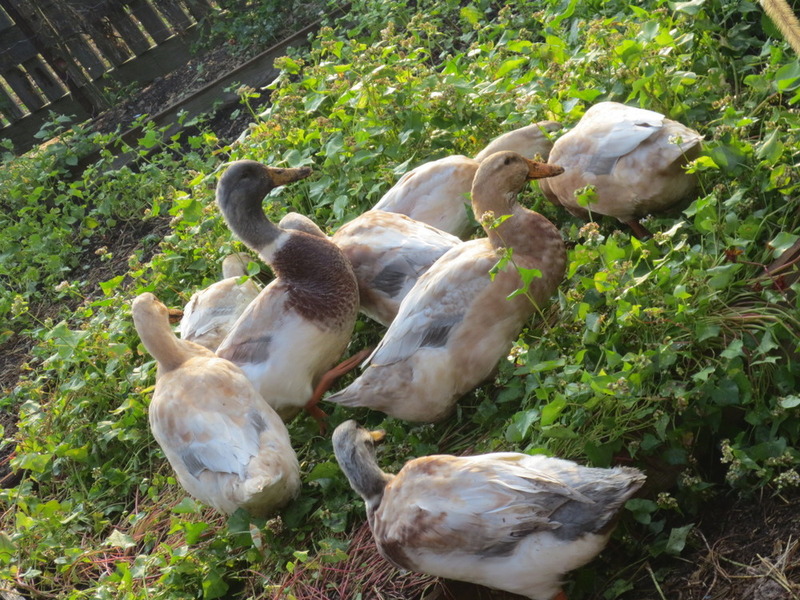 As I clean up the dying vegetable matter and before planting garlic in the garden, the ducks avidly search out bugs and larva. The picket fence confines the brace and keeps them from setting in the road to watch the geese.BTW, much of the greenery remaining in the garden is buckwheat.